Gain the absolute best in off-road articulation and a host of impressive features with this all-inclusive package. 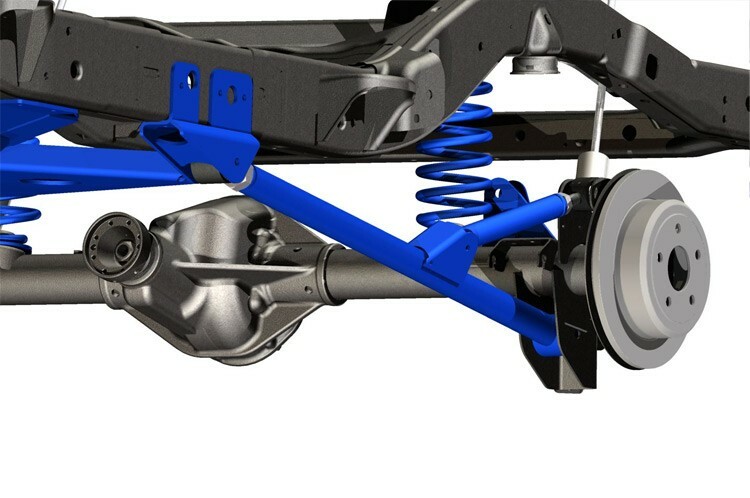 There are no obstacles you can't tackle with our front and rear Y-link Suspension setup featuring HUGE adjustable 2-inch lower control arms and X-Flex Joints. 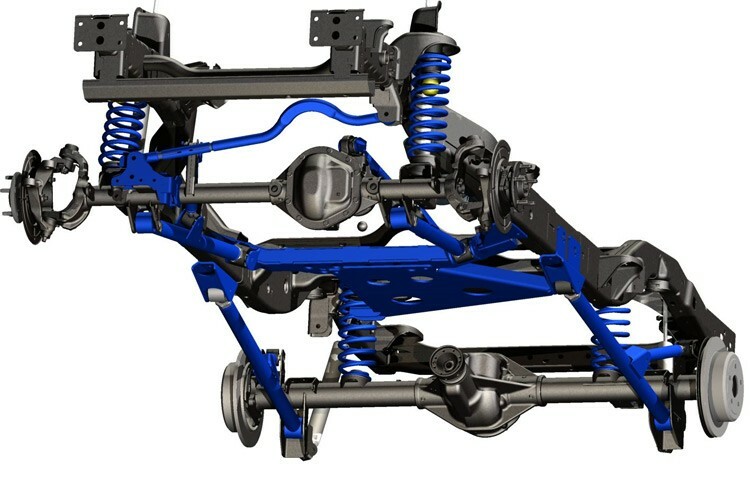 This Dual Y-link Suspension setup with longer travel arms doesn't just prevent binding and rear-steer, it gives you unparalelled axle flex while keeping pinion angles optimized - letting you negotiate trails on your terms. Combine that power with OEM style Clevite Bushings, Sway Bar Disconnects, and our Large diameter Premium N3 Shocks and you've got a rig that's ready to go where most wouldn't dare. 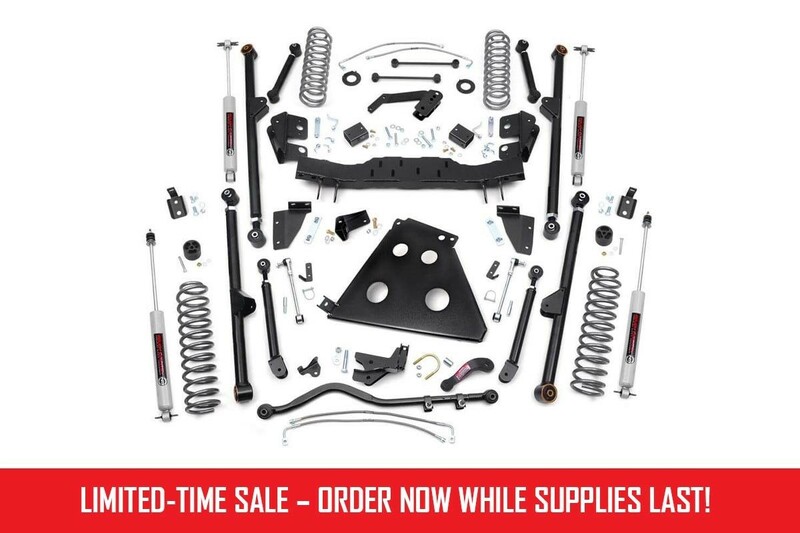 For those who are serious about flexing, crawling, and pushing your Jeep to the limits, this kit features an upgraded Forged Adjustable Track Bar. 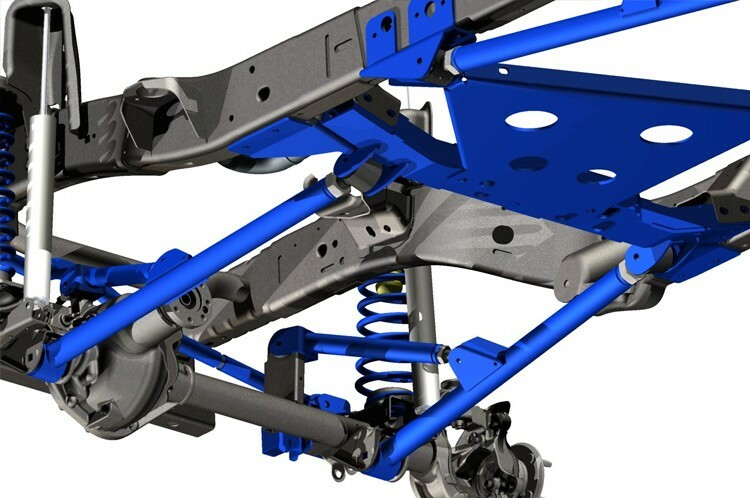 Made of forged steel, this 16lb Track Bar boast a beefy construction that will dwarf stock equipment. Easy to install and fully adjustable on the vehicle. Coil correction plates correct the rear coil spring angle by 10 degrees, allowing them to function more effeciently. Includes our Premium N3 series shock absorbers. HD 0.25" thick skid plate protects transmission and transfer case. Clevite brand OEM style rubber bushings. Flex joints are fully rebuildable. Flex joints feature a massive 2.5" diameter body and 1.25" thread. Does NOT fit 2-door models. Front and rear driveshafts are REQUIRED to replace the factory limited travel driveshafts - Available below.